Videos will drive 82% of all consumer Internet traffic by 2021, 73% up from 2016. Needless to say, this growth will happen year after year, implying that the year 2018 will see a rise in video content. 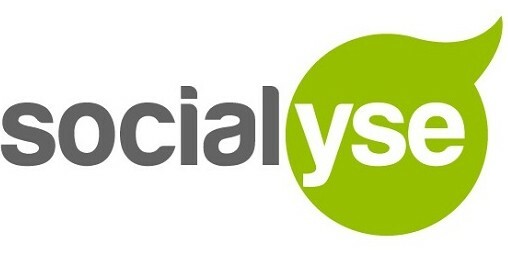 And more brands will include video content in their content marketing strategies this year. 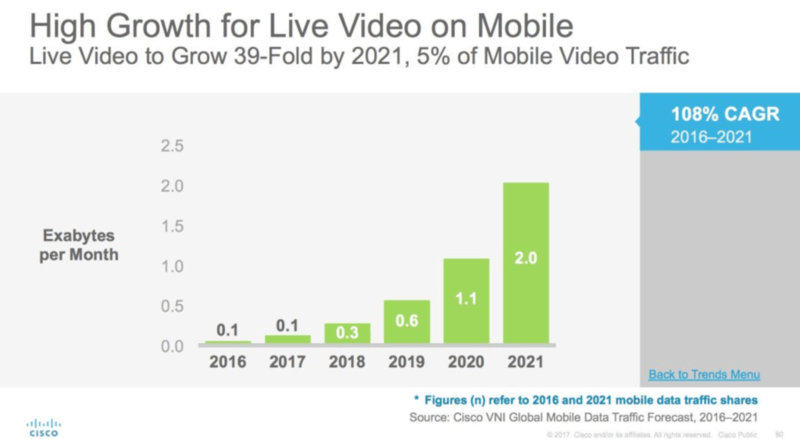 Cisco predicts live video on mobile will grow 39 fold by 2021. Why shouldn’t they? Worldwide 51% marketing professionals find videos the kind of content that offers the best return on investment (ROI). 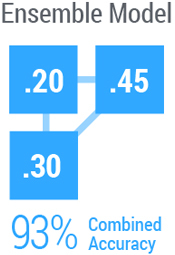 What’s more, blog posts with videos attract three times more inbound links than the posts without videos. Are you ready to incorporate video content into your content marketing plan? Middle of Funnel – Explainers videos are ideal to target your audience in the Middle of Funnel. They should explain how your product or service can solve audience’s problems. 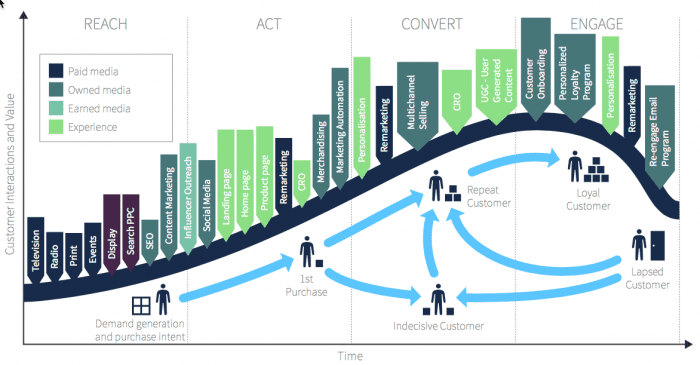 Bottom of Funnel – At this stage, your audience is about to make a final decision. Video content like honest testimonials and step-by-step guides to using your product or service can push your audience to buy. Remember, video landscape is noisy. If you want to stand out from the crowd, you should create videos that your audience wants to watch. A little research on this matter goes long way. The statement seemed to be hyperbolic that time. But looking at the speed with which brands are adopting chatbots, we can be sure that Gartner’s prediction to be true. 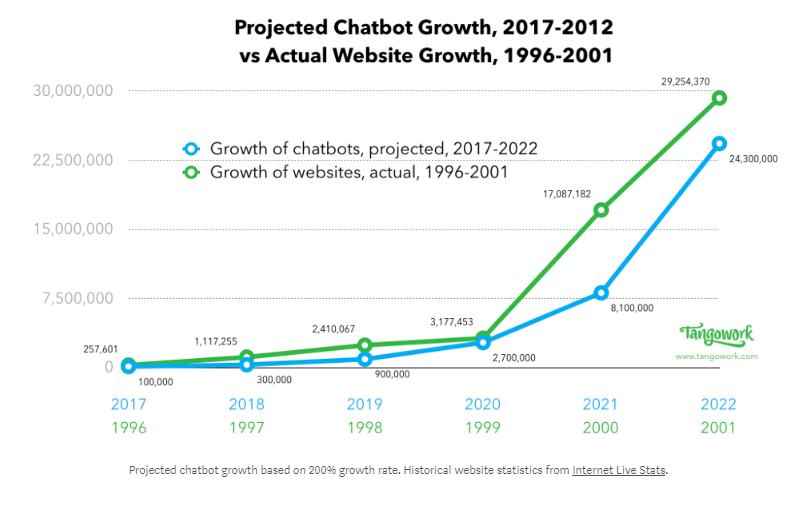 Chatbots Magazine has predicted tremendous growth of chatbots. Leading brands, such as Starbucks, The Wall Street Journal, MasterCard, Pizza Hut, and many more are already using chatbots to delight their customers. 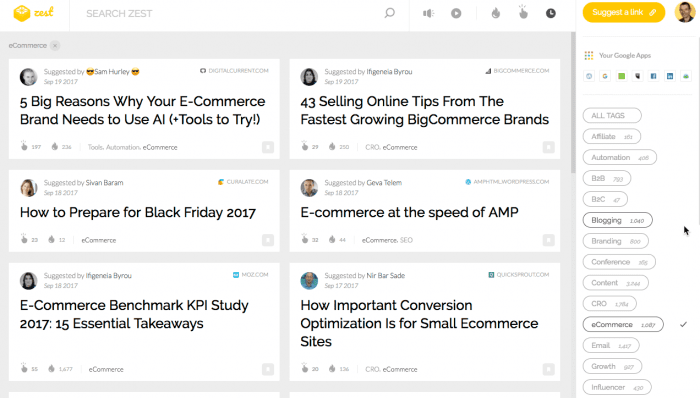 In 2018, more brands will include chatbots in their content marketing strategies. How can you get on the chatbot bandwagon? The best way is to use chatbots to power conversations. Yes, you have read it – chatbots can offer human-like instant responses that could be visual snippets, plain text, or a combination of both. Potential benefits of chatbots include cost-effective customer support, faster response time, and easier business transactions. 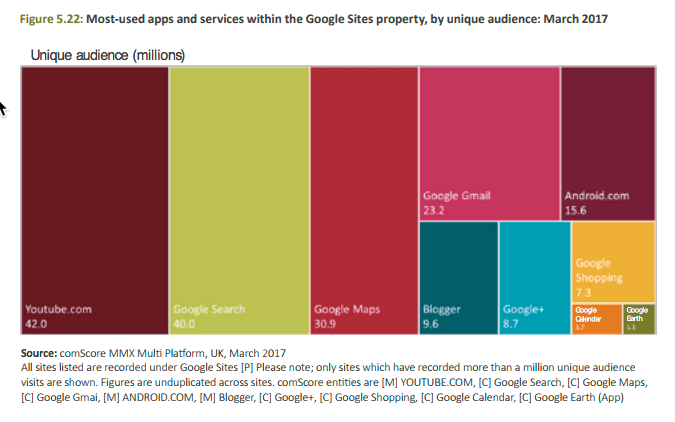 It is official that more Google searches are coming from mobile than desktop. 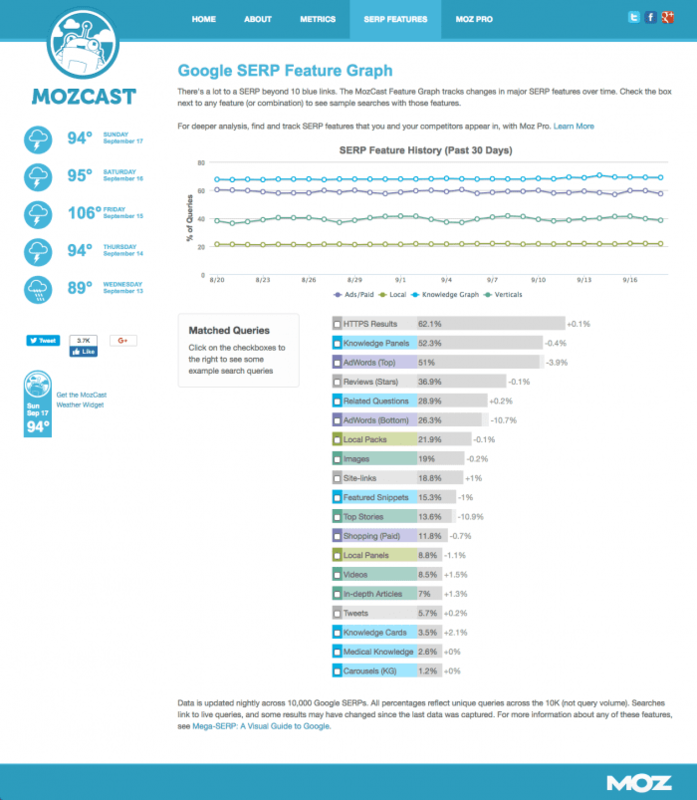 And 20% of mobile queries are voice searches. As the number of smartphone users is growing, the number of people using voice search will also grow in 2018. This will change content marketing. And more brands will optimize content for voice search. If you want to create an ace content marketing strategy in 2018, you should not ignore voice search. People often use voice search to find local content and information. 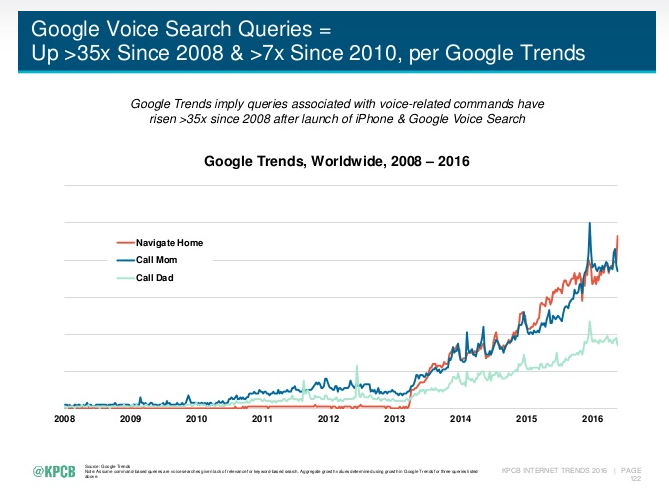 Brands are still early in the voice search trend. If you adopt it, your brand could have a competitive advantage over slow competitors. User-generated content is 35% more memorable and 50% more trusted than other media, according to a research. My friend, user-generated content is gold. The engagement with your brand and the good things people say about your business are genuine. That’s why user-generated content adds credibility and authenticity to a business. Yes, my friend, to harness the power of user-generated content will be one the top content marketing trends this year. 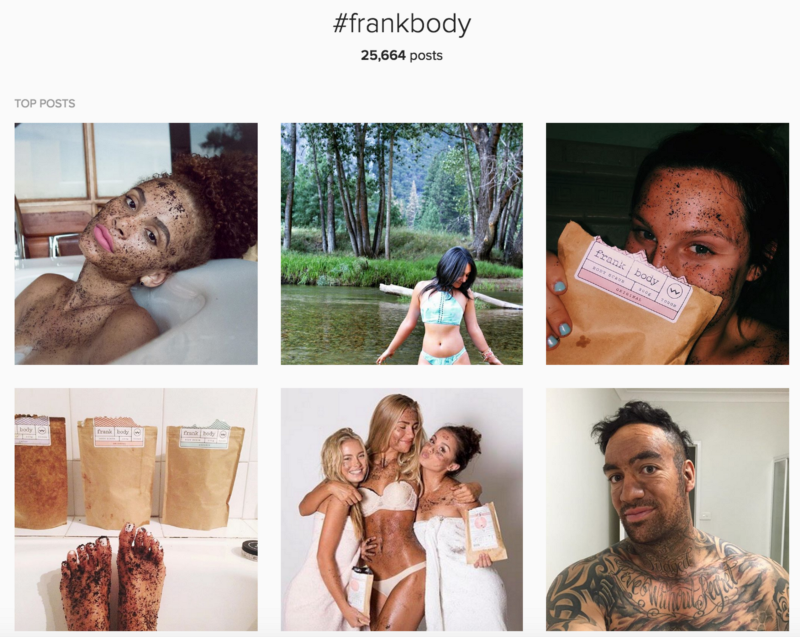 With the fact that more brands will lay strong emphasis on user-generated content in 2018, you should not leave behind your competitors. Though user-generated content is a powerful marketing tool, it is not always easy to get it. 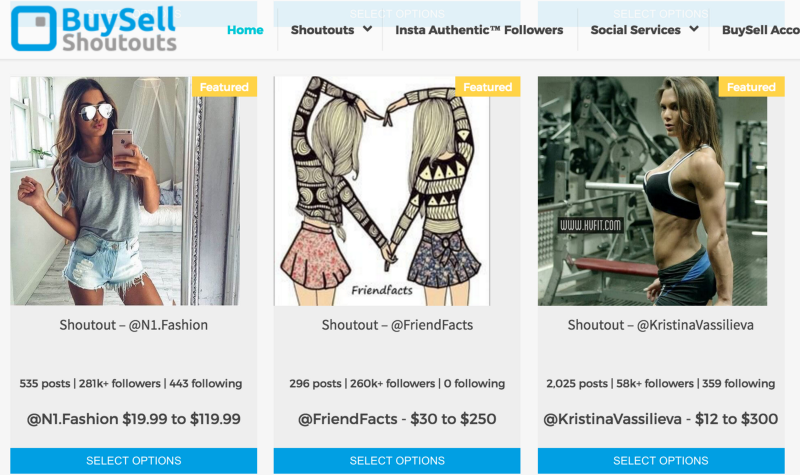 To make your UGC campaign successful, you will need to be super creative. People have become marketing averse. Nearly two in three millennials use ad blockers, making it a bit difficult for content marketers to promote content. Look at this SlideShare screenshot. To amplify content reach and promote their brands, many businesses have started incorporating influencing marketing into their content marketing campaigns. 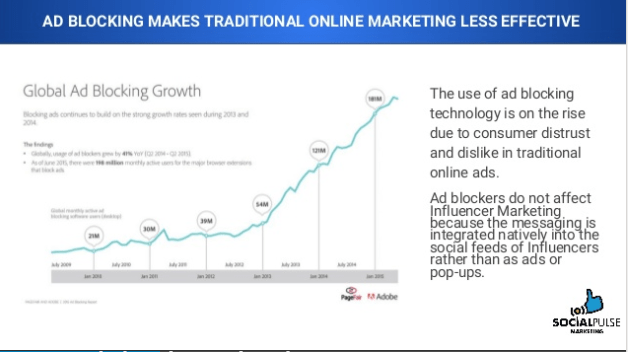 In fact, influencer marketing saw a rapid growth in the recent years. Reason? “As social networks continue to evolve their algorithms, and users increasingly rely on more accessible, immediate word-of-mouth recommendations, a growing number of businesses are turning to influencer marketing to maximize the reach of their messaging”, says Andrew Hutchison in The State of Influencer Marketing. 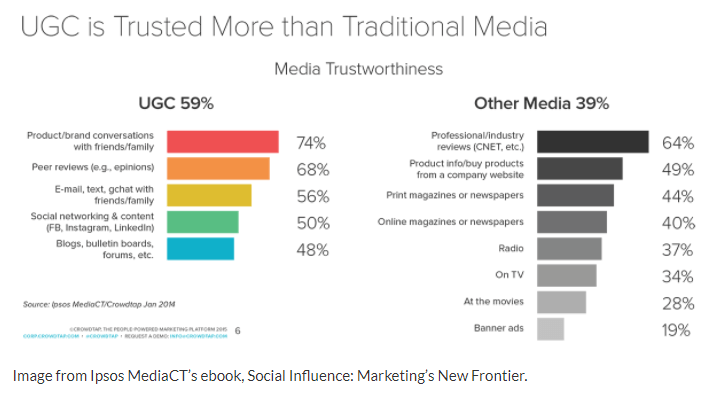 The time when 93% people buy or try things that close friends recommend, brands will certainly benefit from influencer marketing. So, in 2018, too, marketers will amplify content strategies with influencer marketing. Facebook, Twitter, and Google are available in multiple languages. Amazon and Netflix are known to place customization at the center of their products – those programmatically generated ‘Recommendations For You’. Why? In today’s time, customization is the key to success. 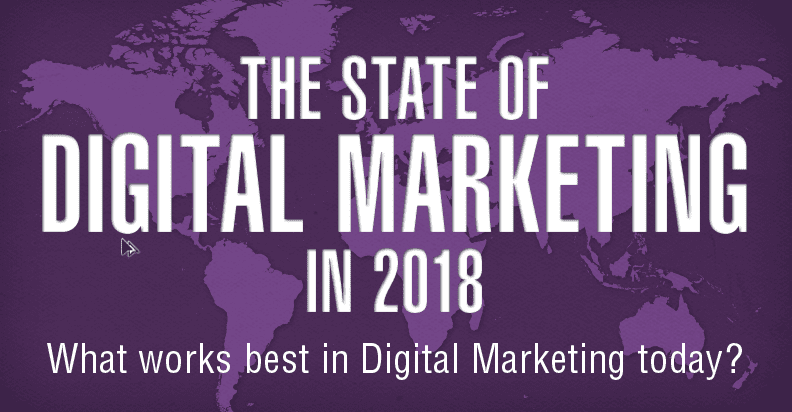 And this will one of the most important Content marketing trends in 2018. 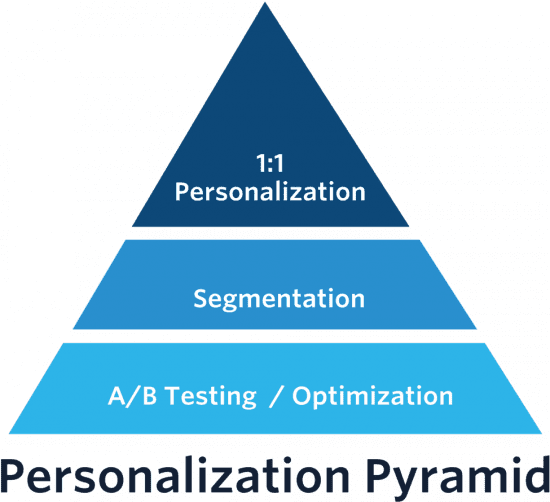 “By 2018, organizations that have fully invested in all types of personalization will outsell companies that have not by 20%,” says technology market researcher Gartner. 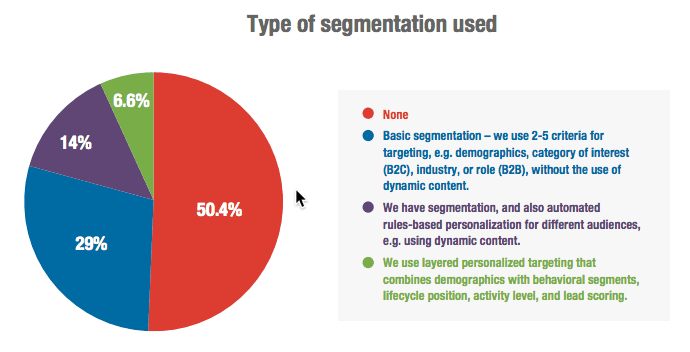 This year, more brands will try to offer content customization. However, it will not be easy to do so. 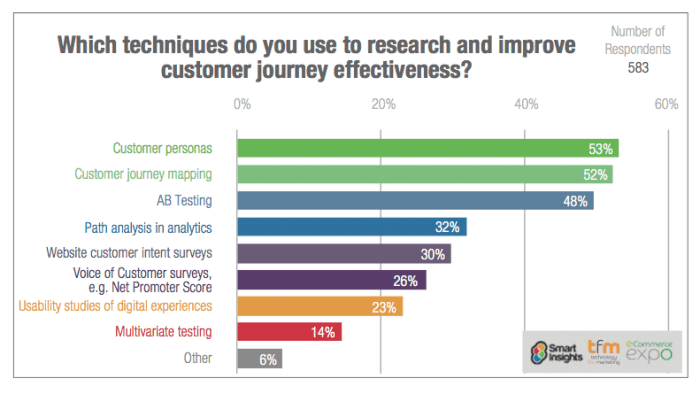 Demand Metric finds 59% marketers don’t have the technology and 54% don’t have the necessary resources such as language translators, so they don’t personalize content. If you want your content marketing strategies to bring in dollars, you should overcome these challenges. 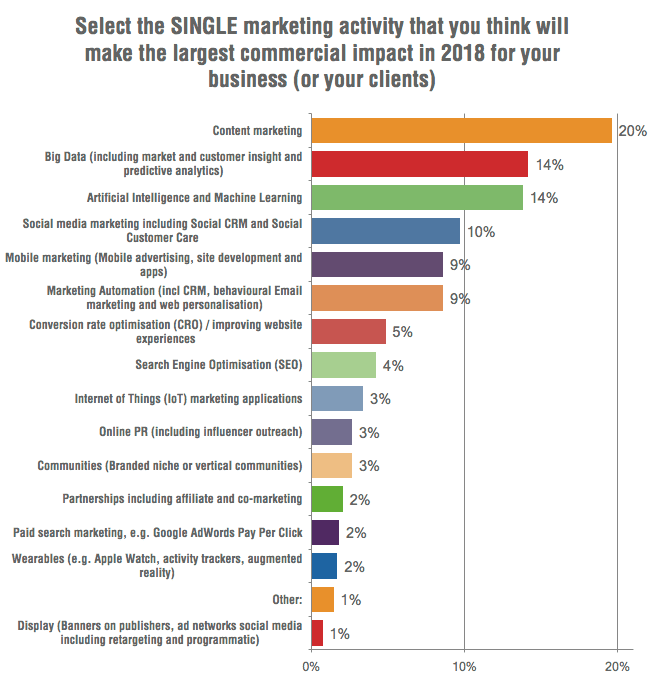 When I was creating the draft for this post, I talked to my fellow Indian content marketers about content marketing trends that will drive success in 2018. They all voiced almost the same. Awarded the ‘Most Influential Content Marketing Professional’ by the WMC, Amit Kapoor is a Global Top 200 Content Strategist, and India’s Top 100 Content & Brand Custodian. An STC IAC Speaker & an ET columnist, he has 17+ years of in-depth experience in content writing & marketing for a globally diverse audience and his articles have been published in IIT Mumbai (TechFest), Inc500, Hakin9 Magazine, & Industrial Automation magazine. You can reach him here. Matthew is a 27-year old content marketer, entrepreneur who teaches people how to start a career as a freelance writer. He started his writing career five years back and is currently a contributor to Entrepreneur India, Yourstory and The Hindu Business Line (on Campus). Check his course on Learn how to become a Freelance Content Writer here. Content marketing is a highly effective tool to build brand awareness and boost sales. But your marketing strategy should evolve with the passing of time. Create a content marketing strategy following these steps, and you will get great ROI in 2018. 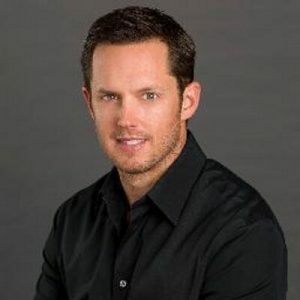 Having read the marketing claims on the Conversion Logicwebsite, I spoke with CEO & Co-founder Brian Baumgart, a man who has already enjoyed a healthy career as a serial entrepreneur in the online advertising and marketing technology space. French conglomerate Vivendi hopes to usher in the next era in digital video via a Netflix-like app built specifically for mobile. The service, dubbed Studio+, debuted in Latin America last year, and features International Emmy-nominated short-form episodic content that can be accessed in full with a $4 monthly subscription. With Studio+, Vivendi aims to seize a sizeable portion of video’s next major battleground — mobile. As time spent with traditional linear TV wanes, and incumbents (chiefly Netflix) continue to dominate long-form digital video, mobile is emerging as the next frontier. Following the trend, media companies, large and small, are pouring resources into developing a mobile video strategy. Studio+ is subscription-based, contrary to most efforts in mobile video which aim at ad dollars. Unlike the majority of moves in mobile video, such as Snapchat Shows and Facebook Watch content, Studio+’s business model is based purely on subscriptions — a largely untested model in the space. Although services like Netflix and HBO can be accessed on mobile, mobile-only variants of subscription video on-demand (SVOD) are non-existent, with the exception of Studio+. Like Netflix, Studio+ seeks to take short-form mobile SVOD mainstream, but with a significant twist. Dominique Delport, chairman of Vivendi content, explained that Studio+ targets the modern “content connoisseur” — someone who is deliberate about the shows they watch and not fully satisfied with the typical slate of digital and social video. This audience, in Studio+’s mind, would revel in high-quality, short-form episodic programming. The app features scripted shows that look and feel like TV programs, but are optimized for mobile. These shows follow an innovative 10×10 format: One season consists of 10 episodes, with each episode lasting a maximum of 10 minutes. A season costs $1 million to produce ($100,000 per episode), and takes a year to develop in full and launch in the app, making Studio+ shows pricier than ordinary digital video to develop, yet much more time- and cost-efficient than TV programs. Studio+ leans on partnerships with telecoms around the world to distribute its content and grow its audience. The app launched in Brazil in 2016 via Vivo, the country’s largest mobile operator, before arriving in France via Orange and Bouygues Telecom, and Italy via Telecom Italia. Meanwhile, the US version of the app launched in early November. Delport, in conversation with BI Intelligence, said a deal has already been reached with one of the Big Four US telecoms and Studio+ is in ongoing discussions with another two. Thanks to this strategy, Studio+ has grown to more than 5 million paying subscribers globally. The app taps into synergies across the Vivendi network, namely Canal+, Universal Music Group (UMG), and Havas. Studio+ shows are produced with the help of Canal+, a leading European film and TV producer and distributor, and UMG, the world’s largest record company. Delport also described how Studio+ can be offered to Havas’s advertising clients for branded content opportunities, citing “Farmed and Dangerous,” an original comedy series by Chipotle, as an example of the kind of work he envisages. The emphasis on high-end scripted shows structured in a 10×10 format and delivered in a mobile-only app makes Studio+ unique. At its core, the product is a bet that consumer behavior is shifting towards watching and paying for high-quality video on mobile, and that people’s preferences for mobile video are maturing beyond short-form, bite-sized content. If Studio+ goes to plan, Delport, and Vivendi, could have the Netflix of the mobile era on their hands. Ross Simmonds is one of the best marketers, growth hackers, and businessmen we know, and he is about to give you some real gems you should pay attention too. Dig in, grab a notebook, and get this brainfood while its hot. If you want to create a brand in the future, it’s unlikely that the exact same roadmaps used in the early 2000s are still going to be applicable. Some of the philosophies will still hold weight but many tactics are going to have been abused and no longer effective. Similar to how marketers have evolved from radio & magazines to programmatic advertising and social media as an avenue to drive results — change is coming. How’d you like to ensure that when change comes, you’re ready? How would you like to hear some of the latest media trends that are going to shake up marketing industry forever? Luckily, today that’s exactly what I’m going to share. Over the years, I’ve rode the waves of digital media opportunities. Whether it’s generating more than 1M views on Slideshare or helping brands grow to hundreds of thousands of followers on Instagram — I’ve leveraged and capitalized on many of the latest trends. And in this post, I’m going to sharesix digital media trends that will shake up the industry for years to come. Some of these posts are fans. Some of these posts are paid shout outs. “>[≈ Per capita income – Taiwan, 2005] for a product placement on Instagram & Twitter. At the time, Jen had around 6M followers on Instagram but today she has more than 8.2M followers and some believe she’s charging $50,000≈ Median US household income, 2009”>[≈ cost of Ford F-150] per Instagram post. What’s new is a shift from the people with millions followers being compensated for shout outs to people with thousands. 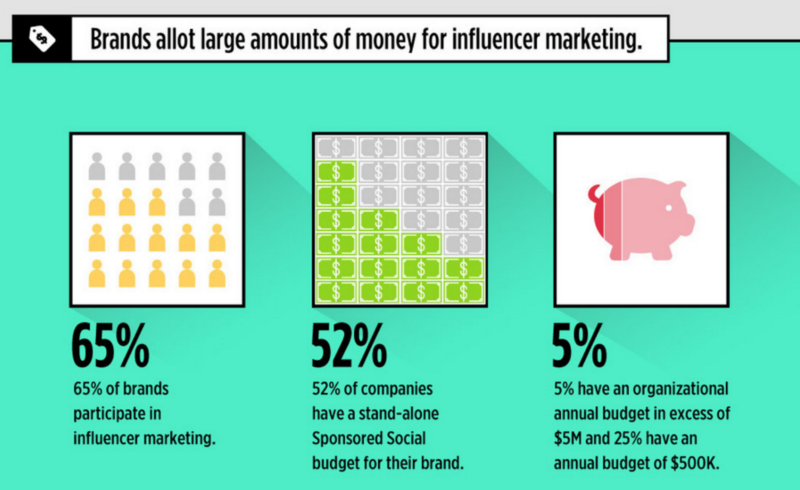 The influencer marketing company, Markerly recently conducted a survey of2 million social media influencers. In their study, they found that influencers with fewer than 1,000 followers had a higher like rate than those between1,000 and 10,000 followers. While it’s possible that these individuals low engagement is related to Instagram’s algorithm and inactive followers — the idea that almost anyone could be considered an influencer is valid. Today, millions of dollars are being exchanged for shoutouts on Instagram, Snapchat takeovers and retweets on Twitter. As more and more people begin to create mini-brands and followings, it can be expected that more people will monetize their reach and compete with media companies for their budget as it relates to digital marketing. Thunderclap is a social media platform that allows people to sign up in advance and share a unified message at a specific time. Many brands have already started using this tool to drive buzz around events, non-profits and products raising money on Kickstarter. In October 2015, a project called Phonebloks generated a reach of more than 381,745,40 with supporters likeElijah Wood signing up for the campaign. Users of Thunderclap don’t currently get compensated for their tweets but I’m willing to bet, it’s coming. The willingness to offer brands the ability to tweet on your behalf isn’t new. It’s something that has been tried by many companies over the years but the trends surrounding influencers and the markets understanding of the value is an indication that this is a trend worth watching. One of the first media companies to launch a bot was the team at Quartz. The team launched an app that feels like a friend sharing news via SMS that you read with ease. It comes with gifs, emojis, articles and of course ads like the Mini Clubman banner you see on the left. Bots have been a hot topic for the last few months but when Facebook announced during f8 that messenger boasts 900 million users per month and it was launching a bot marketplace — it became a new ball game. Facebook is betting on bots. As more bots are developed we will begin seeing different more use cases. Whether it’s bots being used for the news or bots being used for shopping; the ability to connect with people through a conversational interface is an opportunity that media companies and marketers should watch. 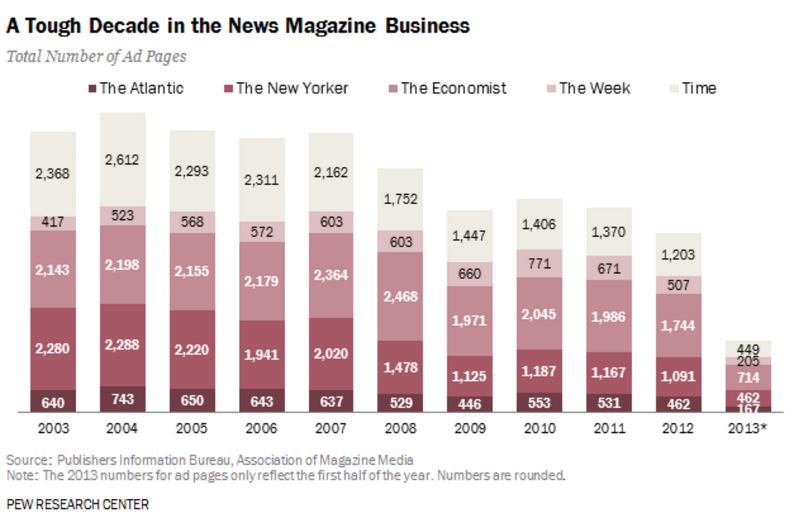 Native content and advertising is a trend that has been soaring over the last few years. Native or Sponsored content is a model in which brands pay to have their content distributed (sometimes created) by media companies directly into their channels in a way that is often viewed as regular editorial. So what does this have to do with bots? Well.. Imagine you’re using a fitness app. 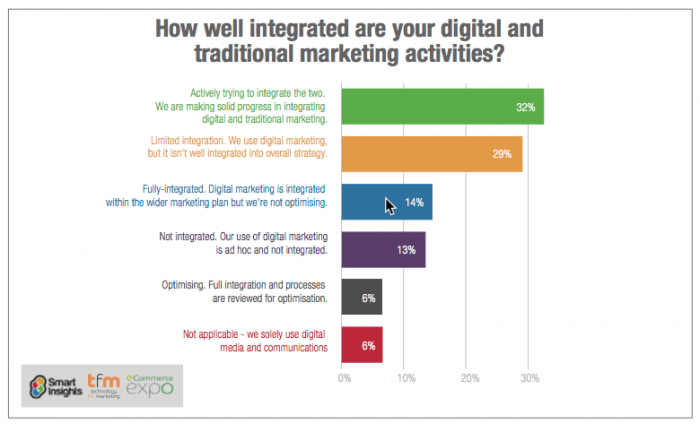 Native advertising has been found to consistently perform better than traditional banner ads. Brands will embrace this approach within bots because it works for both the user and the publisher. I predict we will see more media companies launching bots and more bots evolving into full-fledged media companies. Facebook changed the way we find our news. Twitter changed the way news was broken. Snapchat and Instagram are currently fighting to determine what’s the best way for the new generation to consume it. Instagram was once a favourite amongst youth but Snapchat quickly became a serious threat. In fall 2015, Piper Jaffray’s survey of 6,500 US teens showedthat 33% of them considered Instagram their most important social network. By this spring, that number had fallen to 27% as Snapchat took the crown. Fast forward a few months and the momentum of Snapchat continued when Kim Kardashian did what she does best. She broke the Internet. It shares the same functionality as Snapchat allowing users to create a rolling montage of pictures and videos from the last 24 hours. It’s in this format that brands are already advertising, media companies are being launched and millions of people are watching. In just a few years, the idea of autonomous vehicles have gone from a futuristic dream to a realistic and disruptive product. Regardless of who you think is going to come out as the industry leader in the race towards the first fully autonomous and safe vehicle — it’s going to have an impact on media. According to a 2016 study conducted by the Bureau of Labor Statistics, the majority of Americans spend their free time watching TV. The same trend was found in places like the UK and Canada. You see, the more free time people have the more time they spend consuming content. And if we no longer have to pay attention to the road, it’s likely that we spend more time consuming visual content. 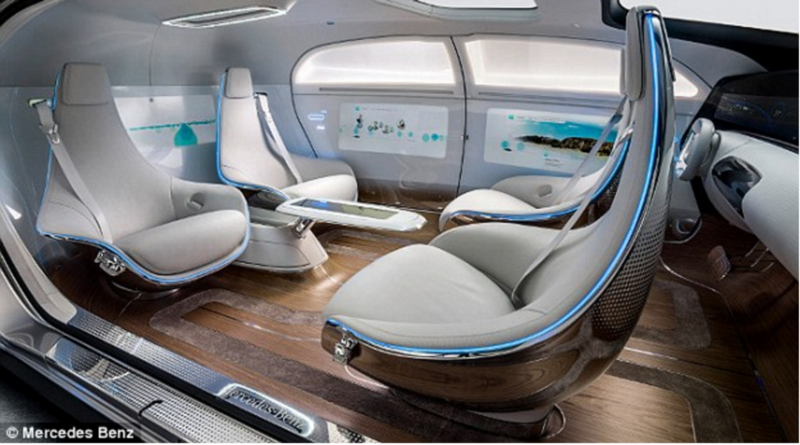 As autonomous cars become more readily available, more time will be available for people to consume content. The average travel time to work in the United States is 25.4 minutes. Meaning that over the course of a year you could consume more than 98 episodes of The Wire. “>[≈ net worth of J.K. Rowling, author of the Harry Potter series, 2011] in in 2017. What’s a key differentiator between Snapchat and other networks? Over the last few years, we’ve seen a consistent increase in the amount of video content being consumed vertically. According to eMarketer and the 2015 Mary Meeker report, 29% of all video consumed online was vertical. 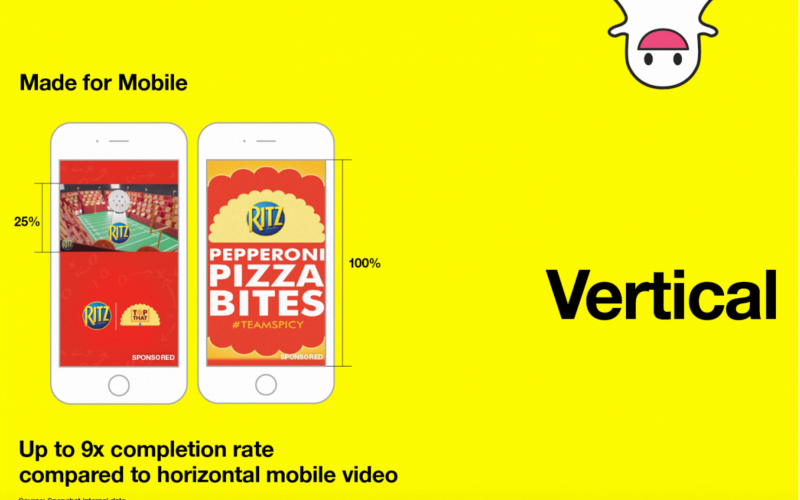 More and more companies are developing ads in the vertical video format. More and more media companies are offering it as an ad unit. 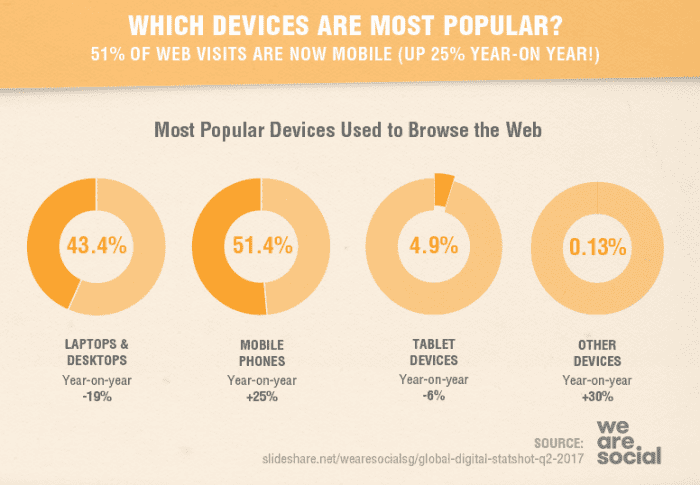 It’s a trend that offers a more optimal experience for mobile users and a more effective approach for brands and media companies to connect with them. Did you know that there is a magazine for almost everything? From sheeps and pigs to technology and boats. If it’s a topic, there has likely been a magazine created about it at some point in the last 50 years. Over time, magazine sales have continue to plummet and many of the niche magazines have been the early victims of this medium’s decline. As the niche magazines continue to die — niche web opportunities arise. 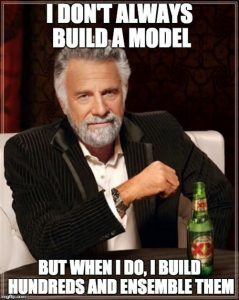 It’s the model that allowed Reddit to become so successful. Reddit is one community that is filled with thousands of sub-communities talking about niche interests and topics. Whether it’s an entire community talking aboutBBQ or a community talking about PokemonGo — it’s a place where passionate people can learn, connect and stay up to date on interests. Media companies are recognizing the opportunity to niche down and are investing in more niche topics to reach niche audiences. Over the last few months, we’ve seen media companies invest in more diverse categories of media content. As a result, marketers will have the ability to be more targeted in their efforts rather than making assumptions about what content their audience is likely to consume. Are there any other trends that you think will shake things up? 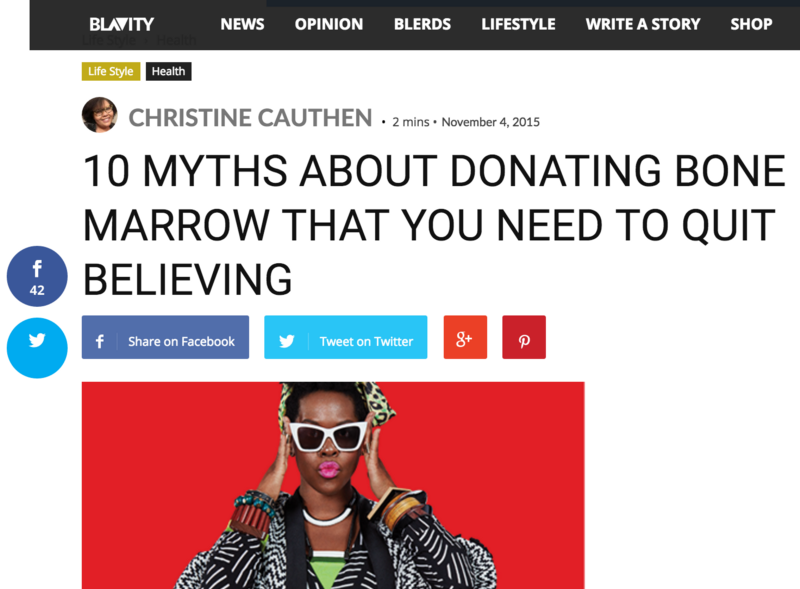 Did you learn something new in this post? Let me know in the comments, I’d love to hear your thoughts. If you want more content like this, check out my semi-regular newsletter. Ross Simmonds is a the founder of Foundation, a content marketing service company and the co-founder of Crate + Hustle & Grind. Emirates Airline (EK) signed a three-year sponsorship deal with Lisbon’s football club Benfica in May 2015. Under the sponsorship deal, Emirates will have its “Fly Emirates” logo on Benfica’s jersey until the end of the 2017-18 season. On Oct. 25, the derby day between Sporting and Benfica, the official sponsor Emirates led a group of flight attendants to the center of the field and gave a special “safety video” instructions in front of about 65,000 fans. Emirates already sponsores Arsenal in the English Premier League as well as AC Milan in Italy’s Serie A, Real Madrid in Spain’s La Liga and Paris Saint-Germain in France’s Ligue 1.